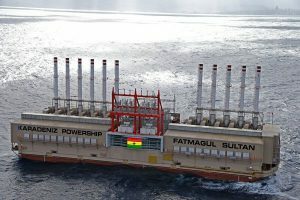 Ghana is losing about 230 megawatts of power currently from the Aboadze thermal power enclave following the shortage of light crude oil and the reduction in gas supply. If the situation persists in the coming days, there are bound to be more power outages in the country, sources at the Volta River Authority (VRA) have disclosed. According to sources, Tullow Oil, operator of the FPSO, has slashed the supply of gas to the Ghana National Gas Company (GNGC) Limited by almost half, which is said to be having an effect on distribution to the thermal plants at Aboadze in the Western region. Following this development, the Ghana National Gas Company is presently able to supply only the VRA’s Aboadze enclave with about 45 million standard cubic feet of gas, which has undoubtedly caused a massive deficit in quantities required to produce power. Corporate Affairs Manager of Ghana Gas, Alfred Ogbamey, said the problems would be addressed probably by the end of this week based on assurances given by Tullow Ghana to regularize the situation. “It is indeed the case that the Jubilee partners, led by Tullow Ghana, have informed Ghana Gas that due to adverse weather conditions affecting their operations offshore, they are unable to give us the volumes of gas as expected. They have had a significant reduction of the recent maximum of 85 million standard cubic feet of gas they were giving us to 46.7 million standard cubic feet of gas. Following which we are giving VRA 46 million standard cubic feet of gas,” he stated. Mr. Ogbamey indicated that Tullow Ghana had declared that a solution would be found by July 14, this year. In its recent reaction to the unfolding saga, the Ministry of Power said interruptions in electricity supply were due to temporary difficulties occasioned by a delay in the supply of light crude as a result of ‘force majeure’ caused by unprecedented vandalism of major pipelines and five terminals in Nigeria. It also highlighted that the non-availability of gas from the West African Gas Pipeline (WAGP) had led to a switch from gas to light crude to fire a number of thermal plants, which had resulted in a stretch of the consumption rate to conserve the limited stock. It added that efforts were underway by BOST to secure strategic reserves of fuel to mitigate any future emergencies.